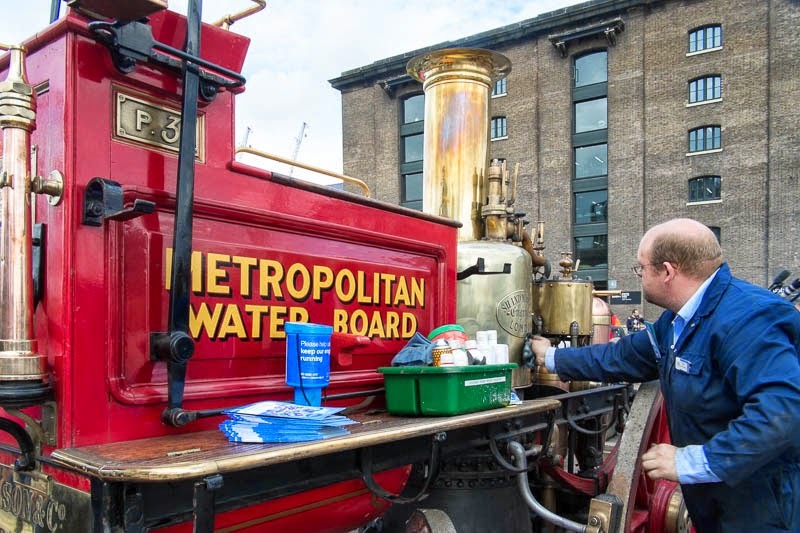 He spent the entire day polishing his steam engine water board truck. Pride as much as anything else keeps these old vehicles running in tip top shape so we the public can enjoy them on special occasions. This outing was part of the celebrations of the way Kings Cross station was during Victorian times. They are such a pleasure to see in exhibitions and parades Mo. It certainly is fun to see these relics of the past especially when they still work. Enthusiasts! Do't you just love 'em? And I see he's collecting money for charity too. Well done that man! Quite a nicely kept up machine! You sure find interesting things to show us, Mo.